Here is a quick SSH tip that I only discovered a month or two ago despite years of using SSH on a daily basis. 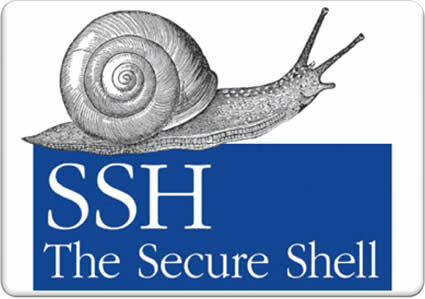 When SSH freezes, as can sometimes happen if the network connection drops, it is possible to kill the connection more elegantly than just by closing the terminal tab (my previous way of dealing with it). You can just press ctrl-enter and then type ~. The ~ is SSH's escape character, and can be changed on the command line using the -e parameter to SSH or EscapeChar in your config flie if you are so minded. There are some other useful escapes available, as described in the SSH man page. ~C Open command line. Currently this allows the addition of port forwardings using the -L, -R and -D options (see above). It also allows the cancellation of existing port-forwardings with -KL[bind_address:]port for local, -KR[bind_address:]port for remote and -KD[bind_address:]port for dynamic port-forwardings. !command allows the user to execute a local command if the PermitLocalCommand option is enabled in ssh_config(5). Basic help is available, using the -h option. [Mosh is a] Remote terminal application that allows roaming, supports intermittent connectivity, and provides intelligent local echo and line editing of user keystrokes. Astounding, isn't it, how, even after years of driving up and down the same street, we notice something new?